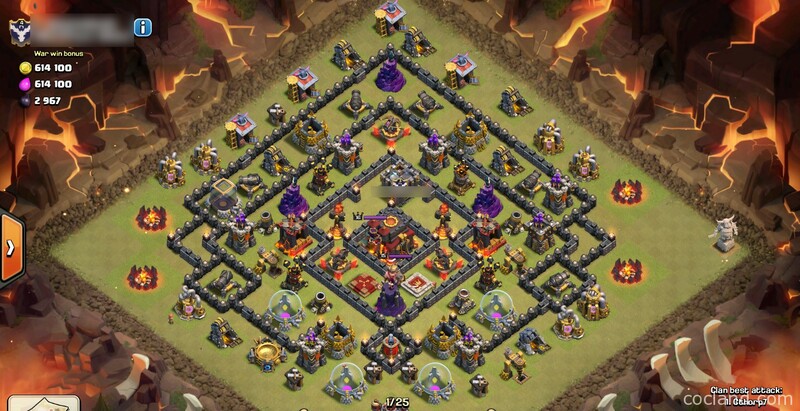 You are a new Town Hall 1o player and looking for a certain successful attack strategy to use in your Clan Wars? As we all can see, using Balloons and Lava Hounds combo are quite popular at Town Hall 10 but sometimes it is pretty difficult with some bases and maybe you even can’t get 2 stars. To be honest, you just can nearly 3 stars other Town Hall 10 players If they are significantly rushed. 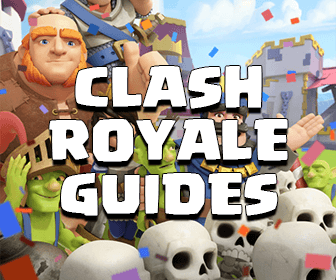 In this strategy guide, we are going to see how to get a definite two stars win with GoWiPe and ease. By follow these tips, you absolutely can improve your Clan win-rate because a large part of TH10 players find it hard to do a decent attack. I am going to provide the method of cthorp2 to a successful GoWiPe attack. You absolutely can find your own way to access the battle based on this one. 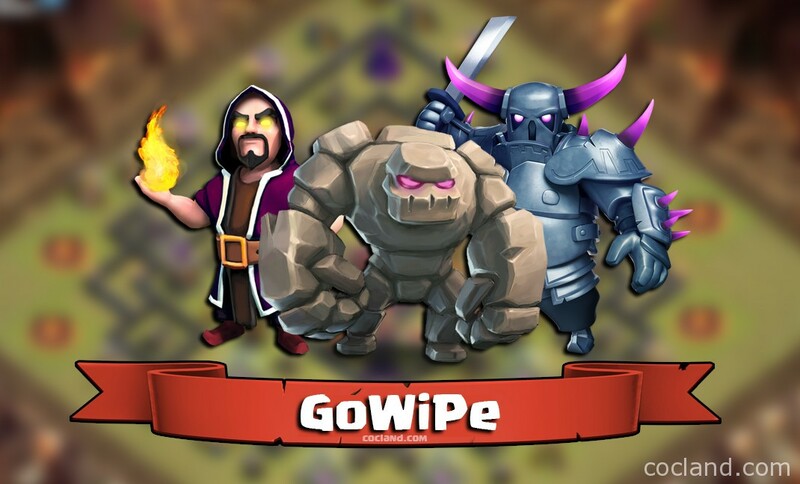 Attack this TH10 village with GoWiPe! Step 1: Lure the enemy Clan troops with your Hog Riders. I deployed my Hog Riders on the Cannon, the enemy Clan troops would go out. I placed my Archer at the X spot. Step 3: Deploy your Clan Castle. 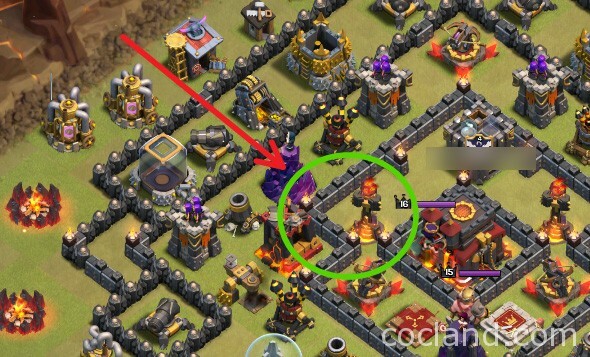 Once the enemy Clan troops are all at the corner, just place three Barbarians in your Clan Castle and 1-2 Wizards behind them. This combo can kill the enemy troops easily. 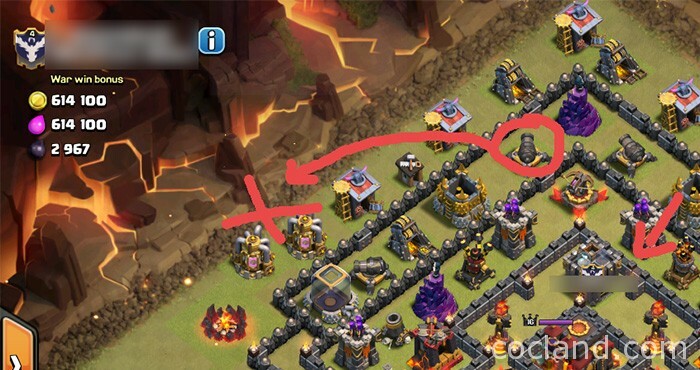 If you think your Clan troops can’t win, just place a Golem as the tanker for your Wizards. It is always safe to drop a Golem a little early, don’t worry! Step 4: Release your Golems, Wizards and Wall Breakers. Once the enemy troops are all down, It’s time to place your Golems into the war. For 2 stars win at early Town Hall 10, I think you should place your Golems closer together so they can go into the core together. Drop Wall Breakers right after your three Golems and speard out your Wizards to take down all outside buildings, create a clear way for your P.E.K.K.As and Heroes. I placed Golems at the X spots and place Wizards in the orange line. Step 5: Time to use Jump Spell! Step 6: Release P.E.K.K.As and Heroes! After dropping the Jump Spell and all buildings outside are down, It is safe to place your P.E.K.K.As now. Always drop Jump Spell before placing P.E.K.K.As to funnel them to the core. If they can’t see any Jump rings there, they will go shopping around as we all know. If you don’t care about Dark Elixir :de:, you can replace P.E.K.K.As with Valkyries. Valkyries are much stronger than P.E.K.K.As and easier do direct them into the core. You can read more at GoWiVa for more details. A Rage Spell should be placed once your troops are going to the core so your P.E.K.K.As and Wizards can take down everything within seconds. 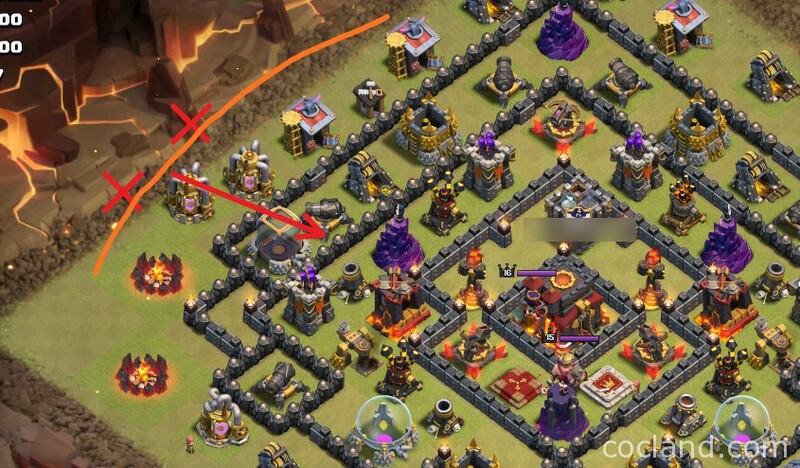 Another Rage Spell should be placed If your troops are stuck on high HP buildings like Storages. Freeze Spells are also very necessary to deal with Inferno Towers. You have 2 Freeze bottles, try to drop them on as many as defenses you can. If two Inferno Towers are close enough to freeze them with just a Freeze bottle, the another one can be used on X-Bows and Teslas. The advantage of GoWiPe at Town Hall 10 is the Freeze Spell. 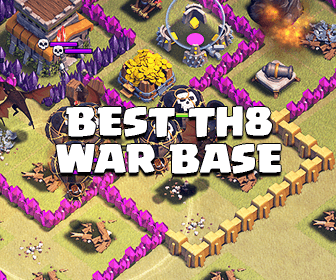 If you do these step above correctly, 2 stars win is not hard with an early Town Hall 10 base. You are at the early stage of Town Hall 10 and we all know that you haven’t been ready to have a decent 3 stars win yet. Keep farming and growing your army, there will be plenty of stronger attack strategies for you!